Autumn has arrived again and so have the spiders. Have you noticed more eight-legged creatures making themselves comfy in your home recently? September is renowned for it! Our friend and artist Nicola Metcalfe sent this funny painting to summarise. And, if you like her style, make sure you keep reading our newsletter over the next few weeks for your chance to win a personalised piece of art eggsclusive to you. Meanwhile, a top tip to deter spiders from cosying up in your house is to place conkers on the windowsills. Apparently this old wives tale really does work! Looking for a spacious run for your pet guinea pigs? Our new Outdoor Guinea Pig Run is the answer. Ideal for every type of garden, this run can be configured to just the size you need. Choose a lo-rise version to give your pets lots of floor space at a lower cost, or opt for the hi-rise to give you room to walk in an out and spend time with your pets. You can even start low and increase the height at a later date. As with all our pet runs, this product will blend in with its surroundings while giving your guinea pigs plenty of room to run around and play. They will be safe from other animals due to the strong weldmesh and anti-tunnel skirting and you can pop their wooden hutch or other accessories inside to give them somewhere to rest and hide. If you already have an Eglu Go Hutch, this can be attached to the run with a Connection Kit, giving your pets the freedom to run in and out as they choose. 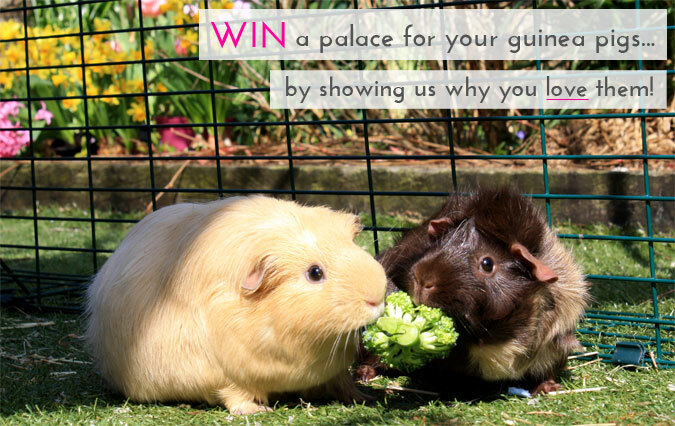 Fancy winning your guinea pigs a new Lo-Rise Outdoor Run? Here’s your chance! Show us how much you love your piggies by putting on a performance and you could be rewarding your pals with a 2x2x1 run worth £299.99! Film a short video about your guinea pigs and send it to us in one of the following ways: email us the clip or a link to the video, post on our facebook page, tweet us or upload to Instagram and tag omlet_uk in the post. Here are a few ideas to get it started: write a song or a poem, do a dance, put on a magic show or dress up as a guinea pig… there is no minimum or maxium length of video, and don’t worry, it doesn’t need to be of hollywood movie quality! The competition closes at midnight on 30th September. Good luck! 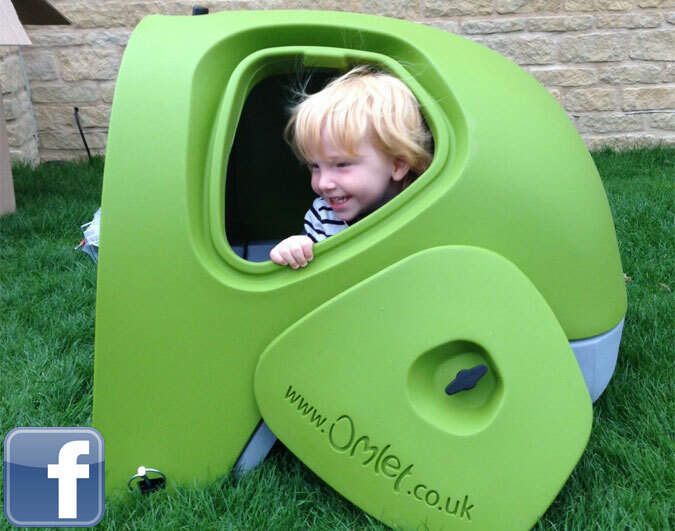 Well, we hope they do too, as long Paul can convince the little lad to give up his new den! Click here to find out more about the Eglu Classic Rabbit Hutch and post your own photos to our Facebook page – we’d love to see! Autumn is an awesome month for chickens. The great outdoors is bursting with worms, grubs and bugs for them to forage, as well as tasty homegrown fruit and veggies to peck at. (If you want to keep your pumpkin patch safe from greedy hens though, we do prescribe a healthy length of our Chicken Fencing.) Unfortunately, along with nature’s harvest comes unpredictable weather, and pets aren’t all that keen on being rained on. If hens could pull on a waterproof mac when it rains they would, but we haven’t finished developing that product quite yet, so you’ll have to step in and save the day. Our Clear and Heavy Duty Covers are just what you need to ensure your pets don’t have to ask themselves ‘why does it always rain on me?’. 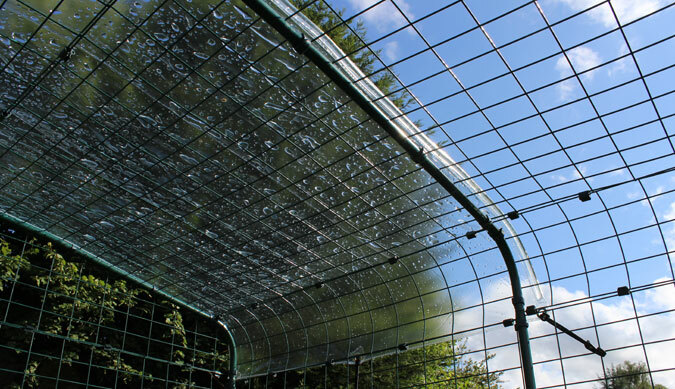 Available for Eglu Runs and Walk in Chicken Runs, our range of covers come in various sizes to keep your chickens sheltered from wind and rain. Our latest Walk in Run Covers with Gutter Edge can be overlapped to provide even more coverage. Stock up on Covers today and be prepared whatever the weather! 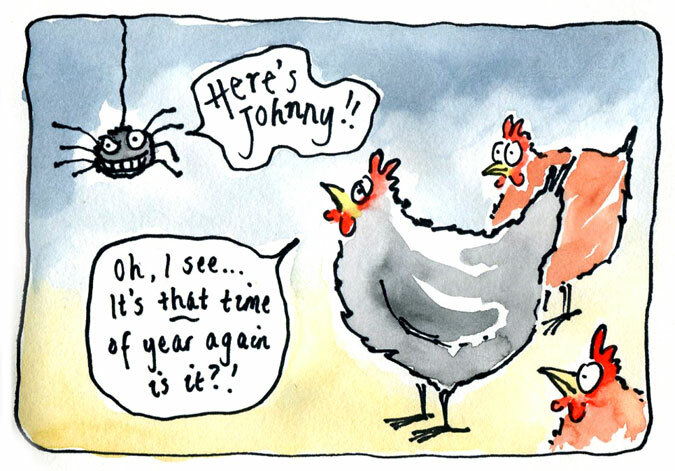 Thinking about keeping chickens this Autumn? Make sure you check out the Little Stuff blog. Laura and her family have been wanting to keep chickens for 23 years and they have finally ‘plucked up the courage to introduce four new pets to the garden. Laura has had her Eglu Go UP for a week now and she is loving it. Click here to read about her eggsperience so far and meet her girls Henghis Khan, Miss Egsa, Nameless and Oprah Henfrey. 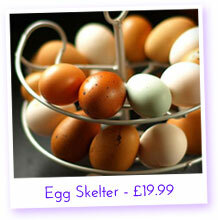 Egg Skelter – A must-have for every chicken keeper, this stylish accessory will keep your eggs in age order! 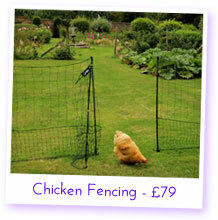 Chicken Fencing – Give your hens extra space while keeping them away from your flower beds. 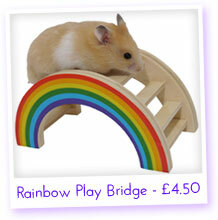 Rainbow Play Bridge – Hamsters and gerbils will love climing up, down and under this wooden rainbow. We’ve heard of Eglus being used to house recovering hedgehogs before, but in the USA there are some other creatures recuperating in Omlet accommodation. 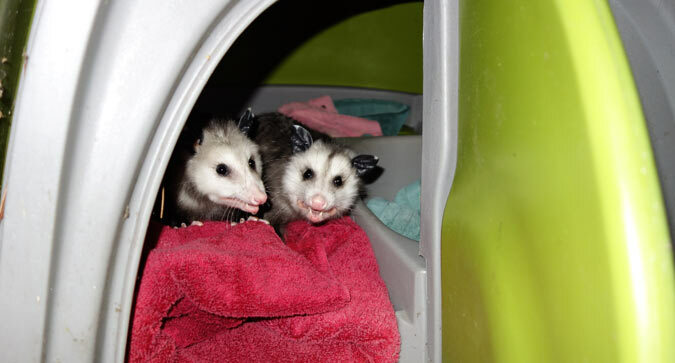 After rehabilitation in a wildlife centre, these rescued opossums were released in the backyard of one of our customers, with an Eglu Classic for shelter. Apparently they loved camping in their new home before venturing back into the outside world and we are very happy in the knowledge that our product aided their recovery. 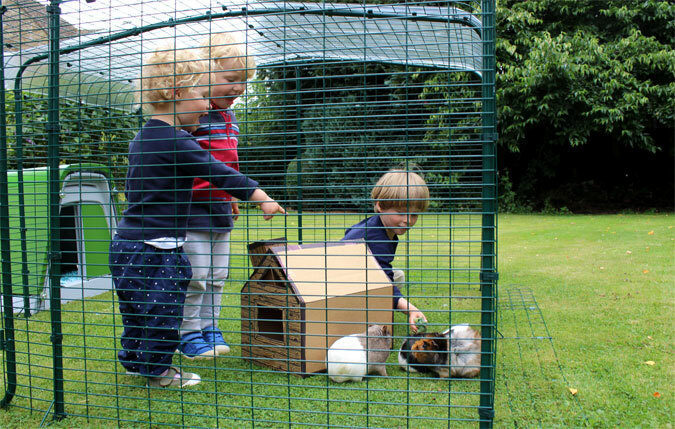 “I’ve had my Eglu for over ten years, and it has been the home of four happy guinea pigs over the time. 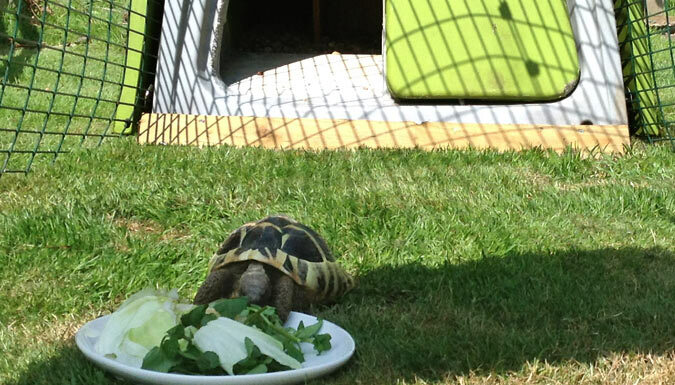 We have just dusted it down and reinstated it for our tortoise, Darwin. As he’s a bit bigger now, he can go out into the garden, but we needed to keep him safe from foxes (and our over friendly Labrador, Hogarth). Do you keep something unusual in your Eglu? Send us a photo and your pet could star in the next newsletter! 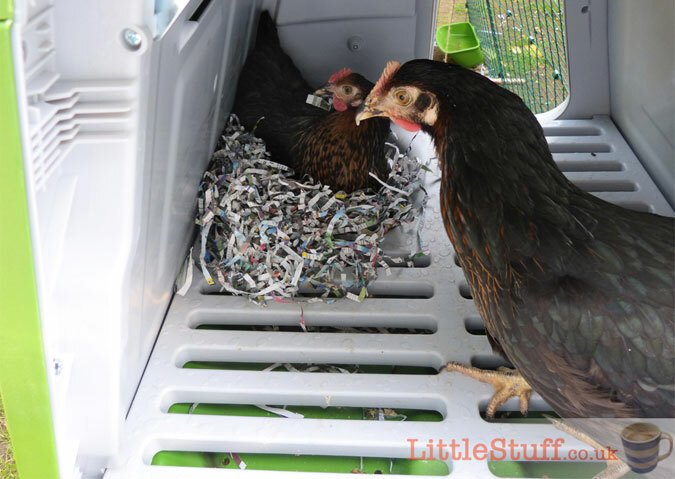 Have you ever thought about rescuing some ex-battery hens? This picture may just convince you. 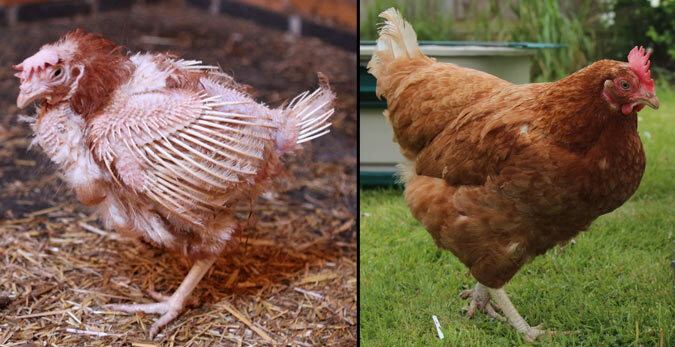 We were both horrified and touched to be sent this before and after photo from an Eglu owner. Samantha rescued Lily, along with eight other chickens, at the beginning of this year. As you can see, this hen was in terrible condition following life in a battery farm and her prospects weren’t looking hopeful. But, wow, what a difference eight months can make. A little bit of TLC and Lily is healthy, happy and blooming gorgeous. Oh, and she’s still laying eggs! Don’t you just love a happy ending!? If you’d like to know more about rehoming ex-batts, visit the British Hen Welfare Trust website for info. 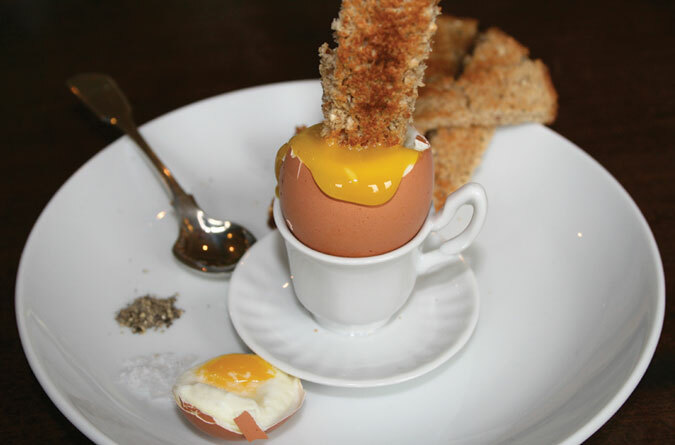 No one can deny that the delicious orange yolks from your own hens’ eggs is a sight to behold. Allowing your hens to free range in your garden, feeding on fresh grass is the best way to get those wonderful yolks, but this isn’t always practical in the winter when the grass stops growing. Feeding your hens green vegetables helps them produce these amazing eggs and keeps them happy, so why not try growing a few veggies at home so both of you can benefit? Winter isn’t the best time for sowing crops, but if you start planning now, there are a number of greens that you can grow at home to feed your hens over Winter…. click here to read more! You might remember our Qute Colouring In Competition back in July. We had loads of fabulous entries, full of colour, feathers and googly eyes, and the office is still covered in your awesome artwork. Unfortunately, we could only choose one winner, but thanks to everyone that enterered – you brightened up Omlet HQ a treat.